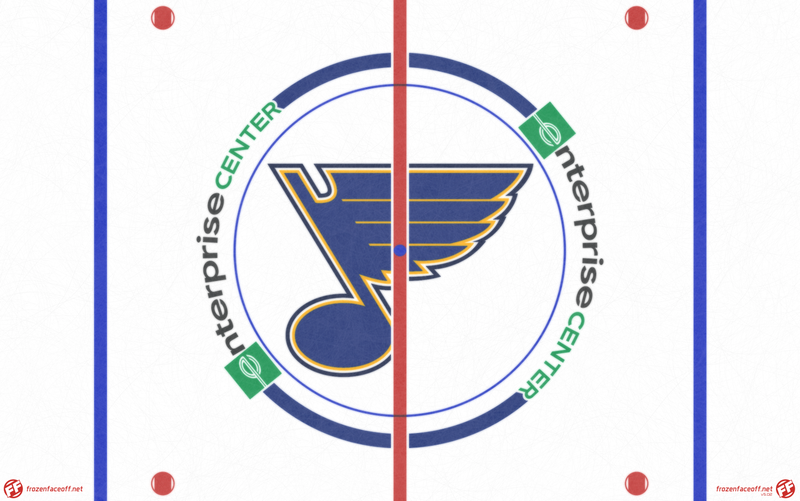 Today the St. Louis Blues announced a new name for the Scottrade Center. 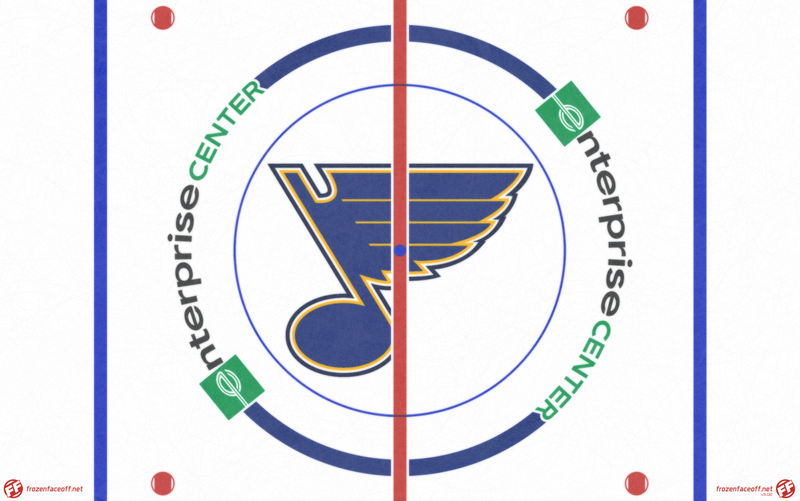 Under a 15 year deal, the arena will now be known as Enterprise Center. The old letters on the front of the building have already been removed, and new signage is expected to be in place following the Summer renovations. 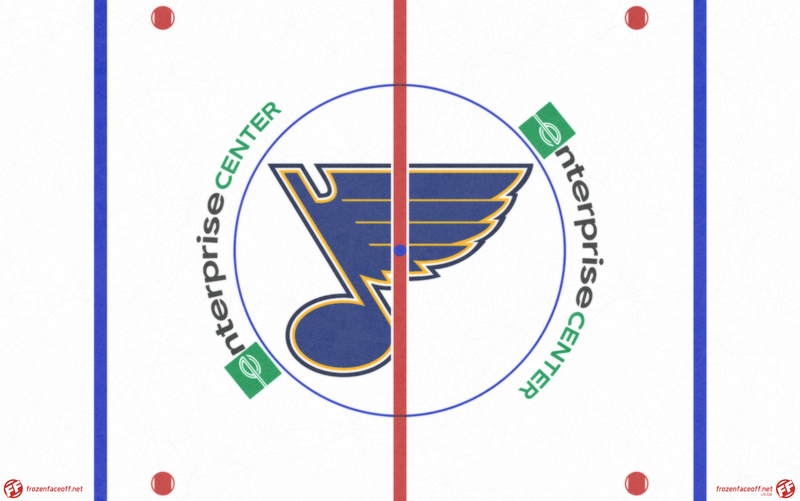 The Blues took most of the guess work out of what center ice would look like by releasing a rendering of their plans for it. Let's just say it is, unique. Below is our version. While I usually like it when teams try something that is a bit 'outside of the box', this one is perhaps just too 'outside of the circle' for my liking. We have also tried alerting the look by moving it closer to the center circle, and also removing the blue ring on the top and bottom. Finally, we also recreated the scoreboard which was featured in the renderings. While I may be no fan of the center ice, I do love what they have done with the scoreboard. It makes me wonder if they had planned to use a stripe on it all along given their choice to put those three metal bars up top. 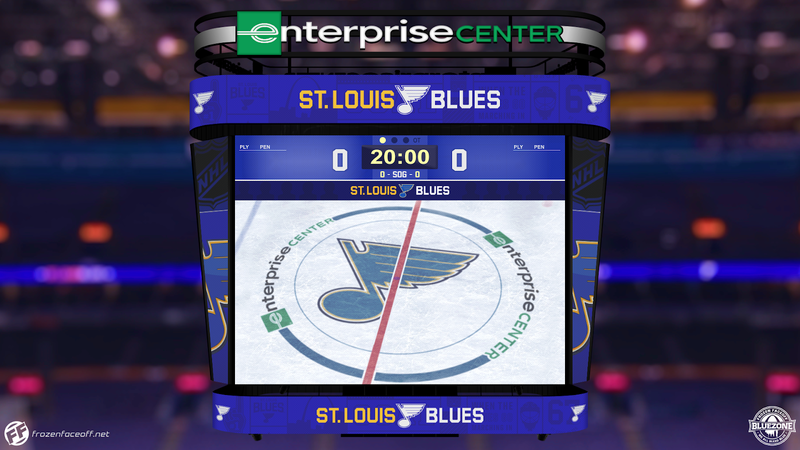 It made no sense with last year's small "Scottrade Center" sign up there but perhaps they just didn't want to spend the extra money until they got a new name up there. What do you think of the new name, the center ice, and the scoreboard? Feel free to tell us in the comments section.